Halloween at Walt Disney World is always an extra special time of the year. 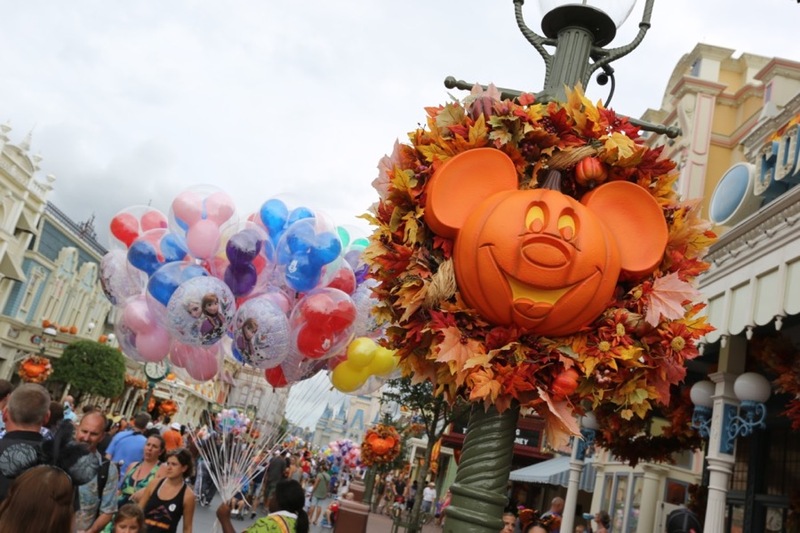 Whether you are walking down Main Street U.S.A. catching glimpses of all the autumn decor, or partaking in the many spooktacular events at Mickey’s Not-So-Scary Halloween Party, you are sure to find yourself immersed in the Halloween season. But what if you’ve already experienced Mickey’s Not-So-Scary Halloween Party and wanted to do something different to celebrate your Halloween Disney vacation? That was the dilemma our family was facing on our recent visit to the most Magical Place on Earth. Luckily for us (and you! 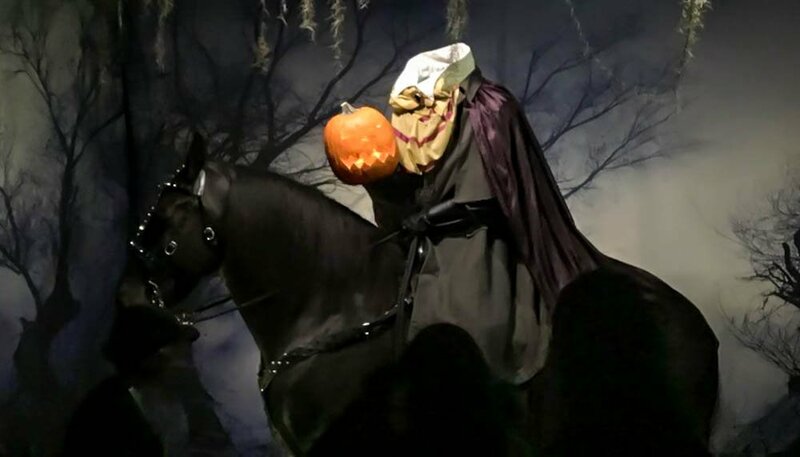 ), there is a little-publicized event held at Disney’s Fort Wilderness Resort & Campground that gives you the rare opportunity to celebrate Halloween with the Headless Horseman! 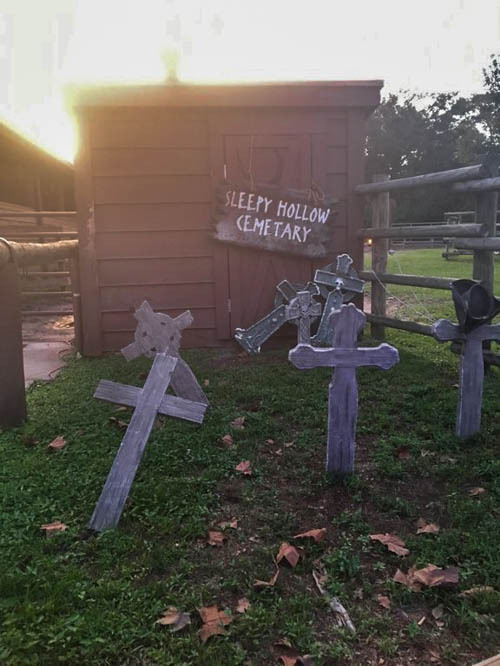 The Return to Sleepy Hollow experience is held on select evenings (8 and 10 PM) in September and October, and gives families a fun (and more budget-friendly) alternative to the Halloween party. 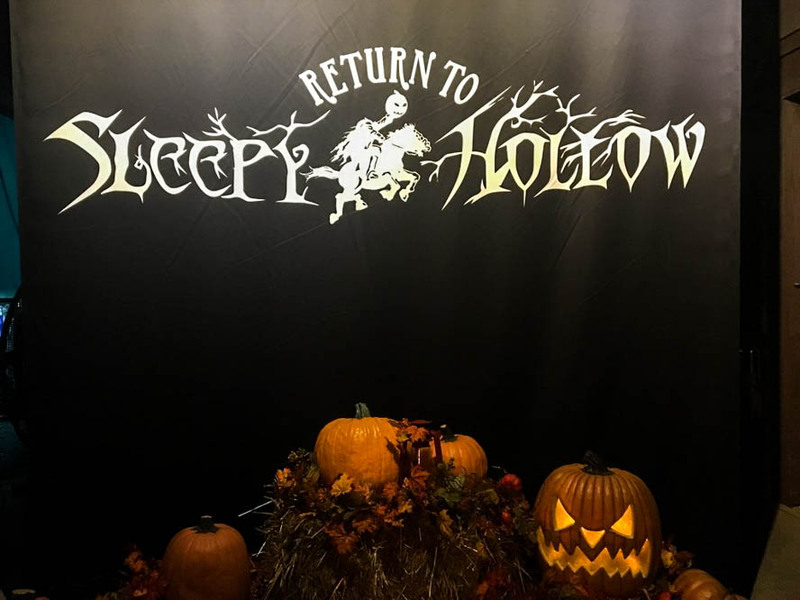 The Return to Sleepy Hollow event is a ticket-tiered event, allowing families to select the right experience for their budget. 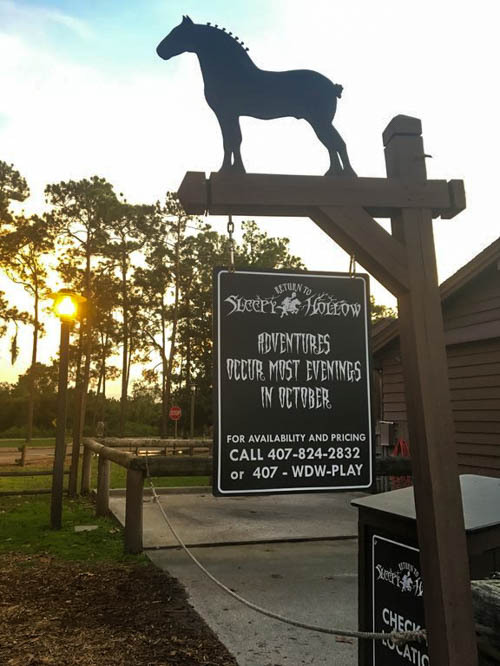 Ranging from $22-$60 per person, this event allows guests to have the once-in-a-lifetime experience of viewing the classic animated Disney Halloween film, The Legend of Sleepy Hollow, in the Tri-Circle-D Ranch horse stable. Once guests arrive at Fort Wilderness, there are prominently placed signs alerting you to follow the path to the Tri-Circle-D Ranch. A quick walk takes you past many of the Walt Disney World horses and ponies, and you get to see Disney’s own Sleepy Hollow cemetery, which lends itself as a great background for spooky photos. There is a check-in area stationed in front of the stable where the film is screened, and guests are asked to check in 30 minutes before event time. Upon check-in, guests get their photos taken in front of a Return to Sleepy Hollow backdrop perfectly adorned with bales of hay and pumpkins. These photos are all taken by PhotoPass photographers, so they come out great and make fun souvenirs. 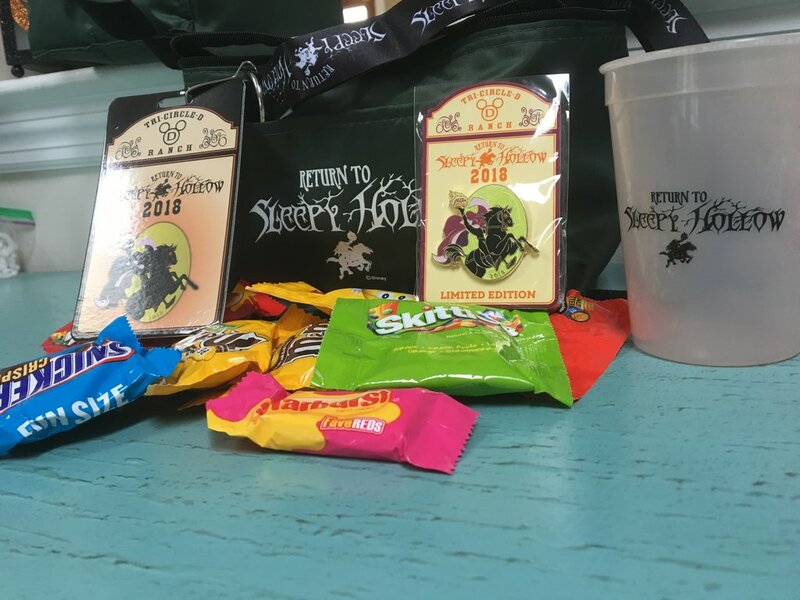 We opted for the mid-range Premium option ($38 per person) and were given special Return to Sleepy Hollow swag bags full of candy, a color changing cup, a lanyard, a special Return to Sleepy Hollow collectible pin, and Pop Secret popcorn. In addition, the Premium ticket included reserved seating in rows 6-10. The General option ($22 per person) includes access to the event and a collector’s pin, while the Ultimate option ($60 per person) includes all of the Premium goodies, plus reserved seating in rows 1-5, as well as access to the dessert party held in the Blacksmith’s Shop across from the barn. Our immediate impression of the event was that it was full of Disney magic. Despite the fact that the temperatures had reached well into the 90s during the day, it didn’t feel stifling or uncomfortable (or smelly!) in the barn. While the first 10 rows of seats were slightly cushioned patio-like chairs, the remaining seats in the General section were your basic fold-up chairs, so if you are thinking of purchasing a General ticket consider bringing something to cushion your seat. Prior to the start of the film, there is some Disney trivia to keep you entertained while eating your snacks. During the screening of the film you are seated in the mostly dark barn surrounded by the sounds of horses, which gives the whole experience a genuinely immersive feel. 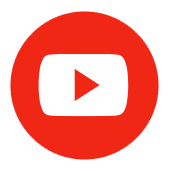 The movie is mostly family-friendly, with a small caveat that the chase scene at the end might be frightening for small children. But the movie isn’t the only thing you get to experience. When the film ends, the screen rises, and the Headless Horseman materializes perched above his black horse, pumpkin in hand, head nowhere in sight. Guests go up row-by-row to have their photos taken by a PhotoPass photographer in front of the Headless Horseman. 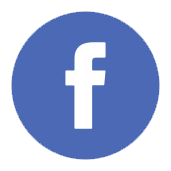 Again, this encounter (though it should be noted there is only a photo op, no actual meet and greet with the Horseman) may be frightening to small children, so take that into consideration when deciding if this event is a good fit for your family. Upon leaving the event guests can get an up-close look at some props from The Haunted Mansion movie. 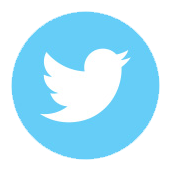 Overall, I think this was a great special event and I am glad we opted to do it. I felt that the Premium tickets were a great value, giving us the film experience and the swag. (We had planned on eating a big dinner at Trail’s End buffet beforehand, so the dessert party would have been too much for us.) 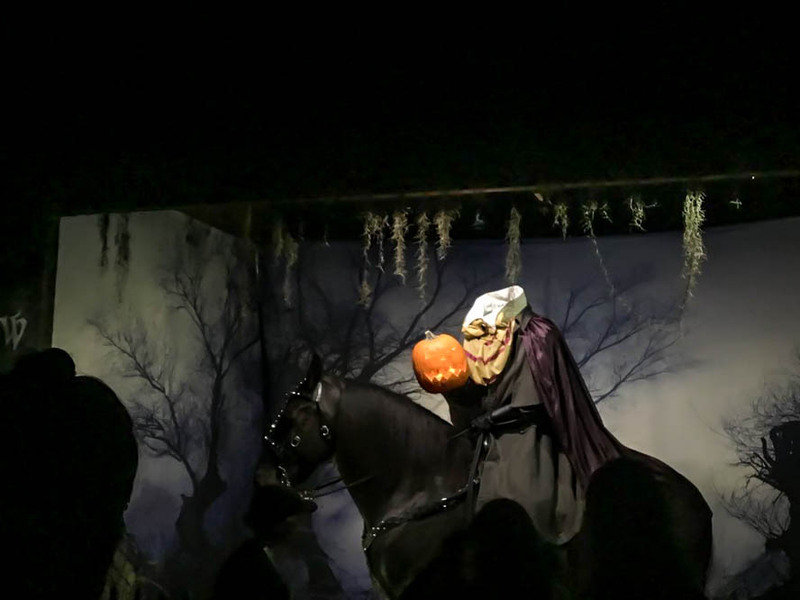 Having the opportunity to get up close with the Headless Horseman without the typical long Disney character lines was also a huge perk. 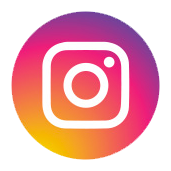 The event is very intimate, as there is only seating for a limited number of guests, which also makes it worth the cost of admission. 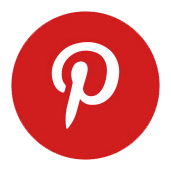 If you and your family are looking for something different to do this Halloween at Disney, or if the Halloween party is out of your budget, or if you just want a more laid back but still spooky experience, definitely consider this a great alternative. This event can be booked only by calling (407) WDW-TOUR.